Yokohama tyres with Price Promise Guarantee! Yokohama Tyres is the tyre manufacturing arm of Japan based Yokohama Rubber Company, which was established in 1917. 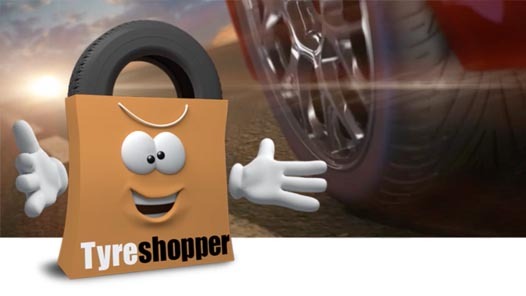 Yokohama Tyres is a global brand which offer a variety of tyres for a number of vehicles such as passenger cars, sport utility vehicles and 4x4's. Yokohama's patented orange oil technology ensures reduced fuel consumption (and thus emissions) as well as maximum safety levels. Yokohama Tyres is also the manufacturer of the Yokohama AD08 tyres, considered to be the fastest street tyre in the world. As a company, Yokohama Tyres strive to be the best and have invested large amounts of money in maximise their research and development to manufacture tyres of the highest possible quality. Yokohama Tyres is the proud OE partner for a range of prestigious automotive marquees including Audi, Lexus, Porsche, Mercedes and several others. Yokohama Tyres has presence in the motorsports arena too, being associated with the American Le Mans Series, the World Touring Car Championship and several other racing events. Yokohama Tyres are a well respected and reputable brand throughout the world of sport, not only motorsport. Yokohama Tyres are the shirt sponsor English Premier League champions Chelsea.